Night is scary. It is dark and as silent as the land of the dead. There are no colours, only shapes. Not a single movement can be seen. But Water De La Mare doesn’t seem to agree. 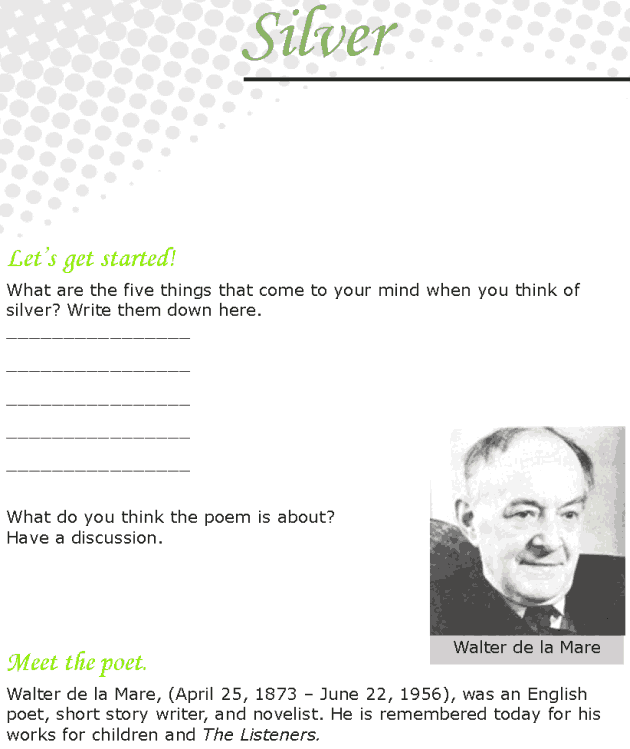 Find out what his opinions are through this poem of his, Silver.